it to its original condition! 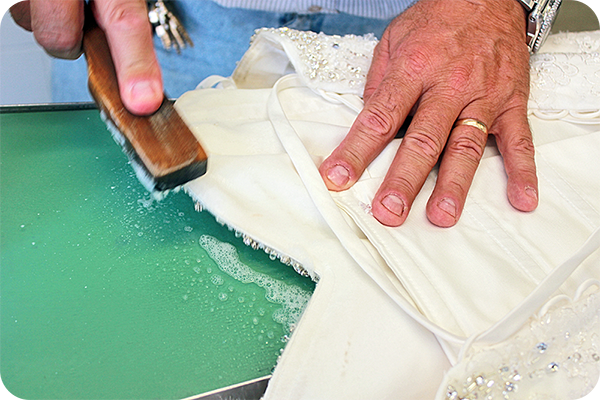 We handle each gown with delicate care, producing wonderful results with our 6-step cleaning method. We pay attention to detail. 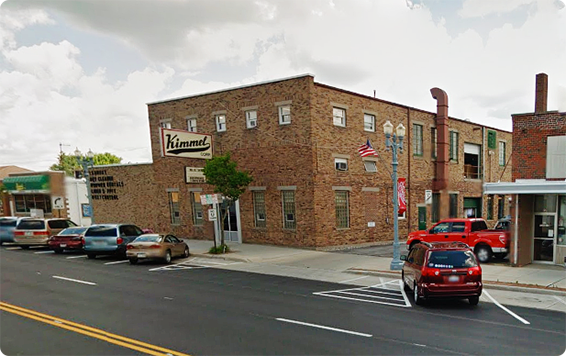 Each and every gown that comes to Kimmel’s is individually handled with great care to ensure the best results. 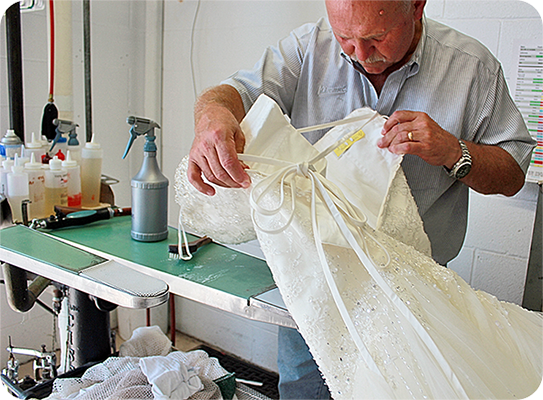 When your gown arrives at our location, it is inspected for loose beads and tears. The loose beads are secured and small tears are fixed, before the cleaning process starts. 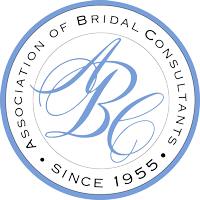 Every measure is taken to protect delicate lace and adornments. The second step involves the care label. 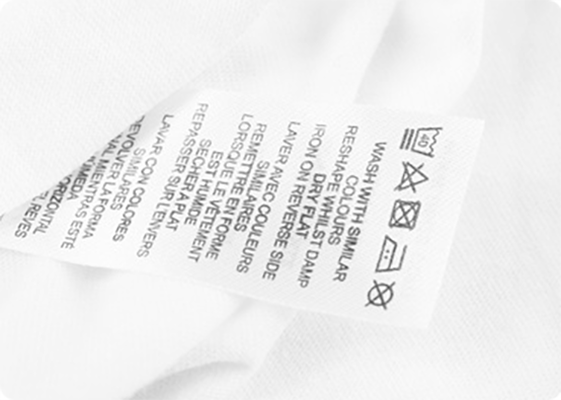 The care label determines the cleaning method that is recommended by the designer. 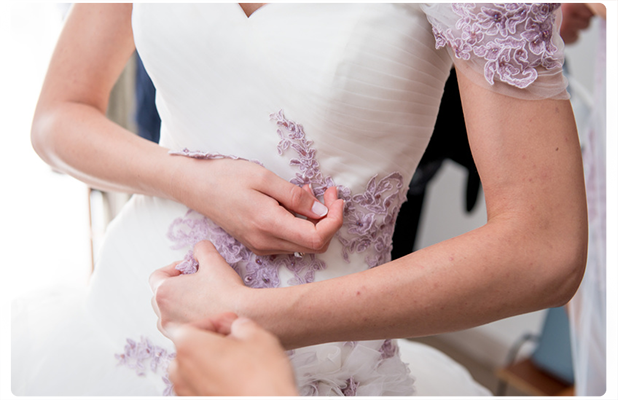 If the label is missing, we test the gown to identify the fabric content and then clean accordingly. This inspection focuses on stains and the hemline. Soiled hemlines are pre-treated and soaked, if they are heavily soiled, we repeat this process several times. Once we have treated the gown from top to bottom, the main cleaning process begins. After the gowns have been cleaned they will again be inspected to ensure all stains have been fully removed. Any stains that remain will be treated again to a series of spotting and cleaning until we’ve done everything possible to return the gown to its original look. That being said, some stains are irremovable as sometimes is the case with gowns that are exposed to outdoor elements or corrosive substances that alter the very fabric of the gown. 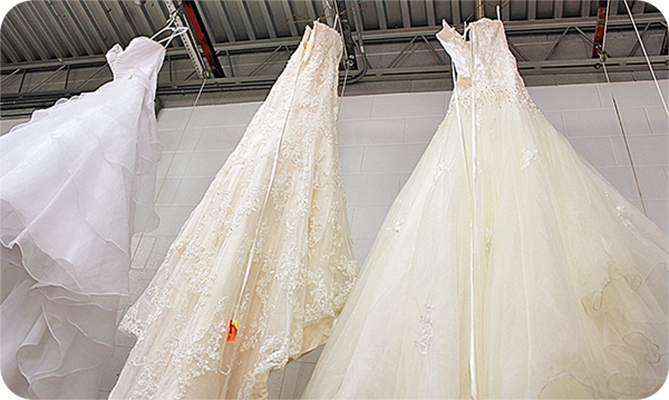 The wedding gowns are then dried in a protected, clean, dust free environment. Final Inspection by the Bride! At this point, we are confident we have made your dress shine again. It will have been cleaned, pressed and made ready for you to perform a final inspection. 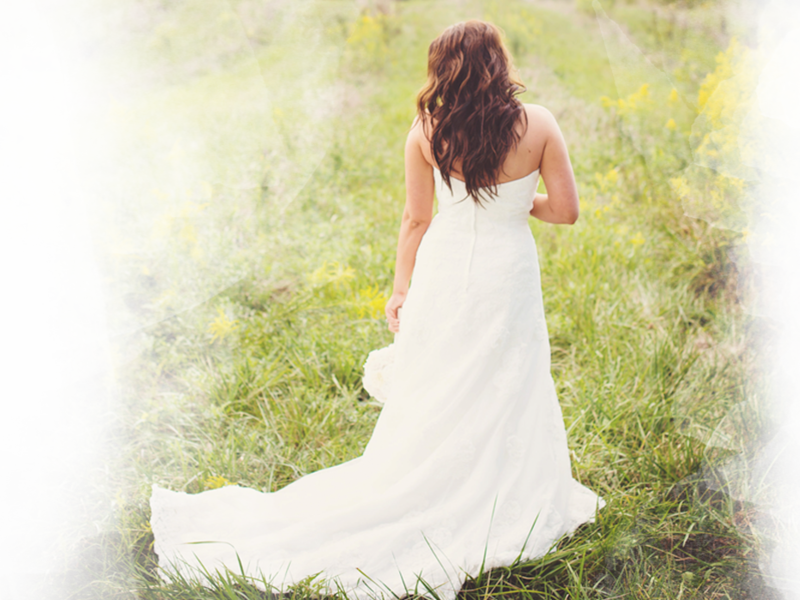 We will then package your dress for preservation or hang it on a padded hanger for your big day. 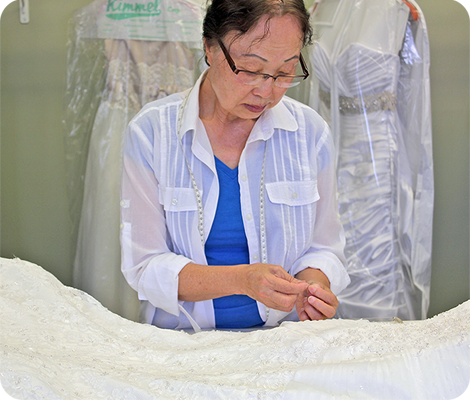 We specialize in gown preservation and restoration. We understand the fragile nature of the fabrics – and respect them. With the utmost care and gentility we’ll turn yellowed dresses back to white, remove stains and fix missing beads.